Hi everyone! I'm finally back after a long hiatus from the blog. I've been away for so long since I got a lot of demands with my Instagram account. But, here I am, back to write, because I want to share something that I think is important for all of us, especially my fellow influencers, bloggers, etc. The future is here. We finally arrived in 2019. Lots of happens in social media life. I've learned that social media is never certain. We will never know what's going to happen tomorrow. Instagram used to be a place where people share something that they love with interesting filters and without business motive at all. 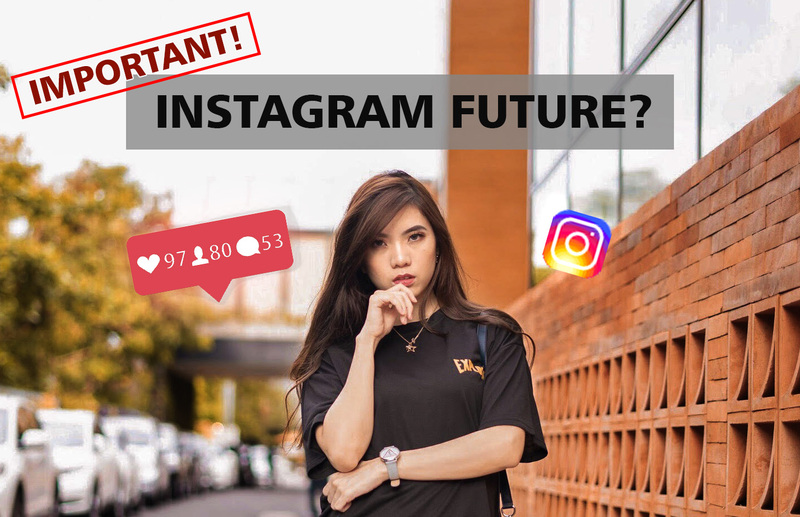 As time goes by, we learned that Instagram could be more than "just a social app" but also become a business opportunity in this digital era. While at first, it seems easy, because it's user-friendly, chronological and understandable, well it's not anymore. A lot of things has changed, started with no more popular page (they change it into explore page), no more chronological feed, and etc. Of course it's fine at the beginning, but how long will this app will survive? Just last month, Instagram introduced a new "swipe feed update" and it almost broke the internet. People were angry, and furious, I felt a bit discomfort too, but it only lasts for half an hour since Instagram users were furious and bashing with over 52 thousands comments on Instagram's post on their official page. We will never know how long this app will satisfy our needs. The algorithm keeps changing from time to time and gets more similar to her mother company, Facebook. For me, personally, I have no choice instead to keep up with everything. I chose this as my platform to share my passion so there were no regrets. But, it reminds me that we shouldn't ever depend on one platform. Because we will never know what's going to happen tomorrow. What would you do if one day Instagram disappear? I'm sure it will hit a lot of people who's a digital content creator as myself will feel terrified. To be honest, I can't help but thought about this after I saw one of Gary Vee's Instagram video. He was right. I couldn't agree more with your sentiments! My blog is my major focus and everything else is just icing on the cake. great post and ideas for the social online future!